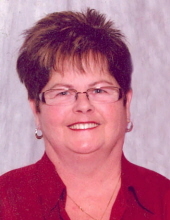 Judy Speicher, age 71 of Fredericksburg, Iowa died Sunday, January 6, 2019, at her home. Funeral service will be held 10:30 a.m. Friday, January 11, 2019, at St. Paul’s Lutheran Church in Fredericksburg with Rev. Ronnie Koch presiding. Interment will be held at Rose Hill Cemetery in Fredericksburg. Friends may greet the family from 3:00 – 8:00 p.m. on Thursday, January 10, 2019, at Hugeback-Johnson Funeral Home & Crematory in Fredericksburg. Visitation continues an hour prior to the service on Friday at the church.